Local vocational education and training programmes serve as a valuable educational pathway to improve the transition from school to work. Within the VET system, quality apprenticeship programmes can provide employers with a skilled workforce that is more agile in a rapidly evolving global economy while also supporting new employment opportunities for disadvantaged groups.This report focuses on how to better engage employers in apprenticeship and other work-based skills development programmes aligned with growing sectors of the local economy. 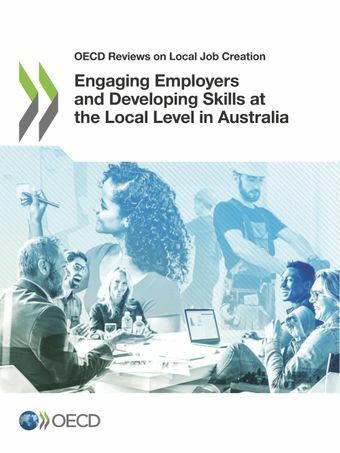 A key part of this report was the implementation of an employer-based survey, which gathered information from over 300 Australian employers about their skills needs and barriers to apprenticeship participation. The report also provides information on four case studies, including Sydney Metro and STEMship in New South Wales, Collective Education in Tasmania, and the Dream, Believe, Achieve programme in Queensland. The case studies demonstrate how local organisations are building stronger business-education partnerships.